Mr. Assad, this is President Obama speaking, we need to talk; a very simple script that could be the difference between defeating ISIS or continuing on without much success. It is rather ironic that amid airstrikes that have been raining on ISIS troops, they continue to advance towards Baghdad, seizing towns along the way. The US alone has been bombing ISIS since June (2014). Joined later by UK and France which have also been bombing ISIS targets in Syria and Iraq, you’d think that by now, the ISIS movement would be a memory of the recent past. Not at all! Armed with technology and agile troops’ movement, ISIS is able to elude three of the world Superpowers. To judge by their defiance, – they continue to publicly execute soldiers and civilians alike – it is easy to deduce that ISIS is getting help from high places. A few weeks ago, I suggested that the United States invite all adults in the region, including Assad, to the negotiating table in order to block all possibilities of escape and regroups of the ISIS troops; US continues to use a strategy that could only work if ISIS was a country. By any calculation, ISIS is winning the war against the three superpowers; ISIS has fewer and less sophisticated weapons, less technology and much fewer troops than United States alone but they have the determination and are mostly driven by the psychology of standing up to Superpowers. For ISIS, it’s the ability to continue to defy the odds which has already earned the group supporters around the world including right here in the United States. In light of what looks much like a defeat for the Obama administration, the Republicans have moved all pieces into place; their principal mouthpiece, Fox Opinion (known by most as Fox News), is now showcasing George Bush’s fiasco in Iraq as a victory in comparison to what’s going on with ISIS; an army of Republicans is lobbying, pressuring Obama to send combat troops to Iraq to counter ISIS. Should Obama give in to Republicans’ pressure? Absolutely Not! Obama’s strategy may seem to be failing; perhaps, it is. However, to send combat troops back to the region is a worst strategy and a very bad move. 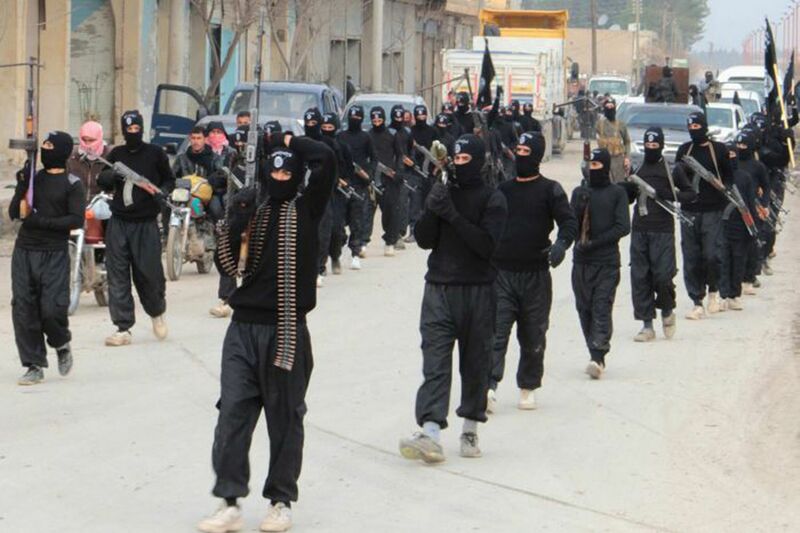 ISIS troops, at least the majority, are believed to be in both the Iraq and Syria border areas. Even the scenario that US Combat brigades land in Iraq to combat ISIS, the strategy would not work; ISIS troops can retreat back into Syria, waiting US out, unless of course US troops were to march into Syria which is by definition a declaration of War to Syrian government. Perhaps, that’s exactly the point; Republicans are growing impatient that US is still not at war with Syria. Thus far, with US bombing campaign against ISIS inside Syria, Assad has been silent, and for good reason. US (and allies) is now bearing the cost of bombing both fighters and civilians alike, thus freeing Assad to direct his focus on the rebels supported by the United States. The Republicans, deprived of intelligence briefings available only to the President of the United States, have long mis-calculated that a war with Syria would be a walk in the park because of US war supremacy; it is obvious they have not read the memo that the worldview towards the United States has drastically changed since the fabrication of evidence by the Bush administration to go to war with Iraq. Even UK, US closest ally, has been cautious to support US bombing campaign inside Syria. Besides, it’s very likely that Assad would engage US troops if they were to enter Syrian territory, a scenario the Obama administration has done everything possible to avoid; it would be a messy situation, perhaps worse than the Iraq war. Given the situation, it seems rather impractical for US, UK, France or any other Superpower to resolve the impasse with ISIS. Even if a sustained bombing of ISIS troops were to be successful, it would be too little too late; the damage is already done. ISIS has already earned the admiration of many terror groups across the globe. Even some American, English and French citizens have already traveled to the region to join the ISIS movement. The situation in the Middle East is not Obama’s making; he is trying to clean up the mess created by the void left with the fall of Saddam Hussein in 2003; it is a real mess that requires a real strategy, not another campaign of bombing (Syria). Obama needs to call on Assad for help with the ISIS crisis; there is really not much hope any strategy that doesn’t involve Syrian Government assistance would work. Historically, the West has never been successful using its Supremacy in that region; the war with Iraq, the latest quagmire for the West, should be a constant reminder to all, the Republican warmongers in particular, that to just bomb a country, to just get rid of the head of state one does not like are not a strategy. The rise of ISIS should have been an opportunity for all (in Washington) to work together to craft a way out, a way forward. Don’t hold your breath! It’s not about defeating ISIS; it’s not even about getting rid of Assad. It’s about being constantly at war. Wars are casualties for the soldiers and losses for their families but it’s a cash cow for companies that sell to the US Defense Agency (Halliburton, and Lockheed Martin, and Honeywell, and Hewlett Packard, and Raytheon, and Northrop Grumann, and Boeing); it’s about spending your tax dollar. According to a 2012 report on Business Insider, the top 25 companies that manufacture war equipment for the US government have ALL had large profits at a time the economy was staggering and most businesses were struggling to break even. To put it in perspective, the top 25 Defense Companies in America made a total profit of $49.5 billion, that’s $7 for every individual (men, women, children, babies) alive on the planet as per 2013 census (7.2 billion people); total sales to the US government (translation: your tax dollar) for the year 2012 was $232 billion, that’s $32 for every individual on the face of the earth. So, it’s never out of love for the country, nor out of concern for the security of the world the warmongers have been cheerleading for wars; it’s always out of greed to increase their bank accounts and investments that their indifference to soldiers’ lives and their families’ losses and sufferings is so despicable. If the Obama administration is serious about defeating ISIS, someone in his administration needs to talk to Assad urgently. The financial burden on US taxpayers is hefty. According to an August 29, 2014 NBC report, the Pentagon estimates that US is spending $7.5 million a day since June to fight the ISIS troops. Mr. Obama, it’s time to talk to Assad. As mentioned in my previous article, Mr. Assad would be more willing to seek a compromise today than he would have three years ago. It is time that Mr. Obama re-evaluates the strategy put forth by advisors and strategists who craft solution to any problem around military solution. It is time to sit down with Assad. He holds the bigger piece of the puzzle, and the Middle East is not the West turf. Amid the bombardment taking place in the region against the ISIS movement, here at home ISIS is proudly used at several universities (https://isis.jhu.edu/ ; www.isis.ufl.edu/ ; www.bloomu.edu/isis ; the list goes on and on). It stands for Integrated Student Information System. So, regardless what happens to ISIS in the Middle East, it will continue to strive here in the United States, the irony of things.